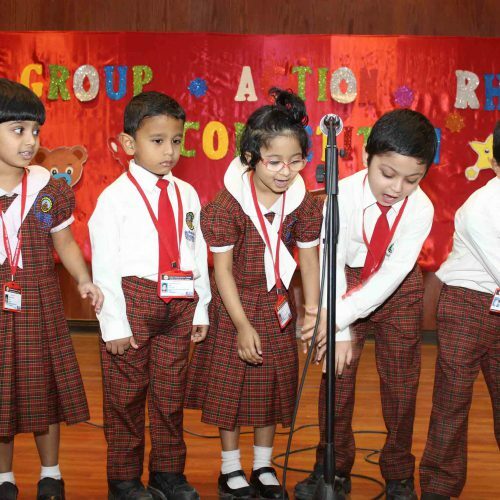 The day that is markedly designed to dedicate an ode to all the enlightening people in the pedagogical community was enthralled with the awe-inspiring approach of students who exhibited the utmost gratitudinal outpour in the form of wishes, greetings and thanks on 5th September 2018 in Smart Indian School. In spite of the full-fledged celebration ceased in the remembrance of the unprecedented deluge that turned to be the reason for the cessation of many in the Indian state of Kerala, the day never turned vain in remembering the sacrificial abstract entities that each teacher has towards the entrusted pedagogues and by resulting in their intellectual heightening and moralistic insights. 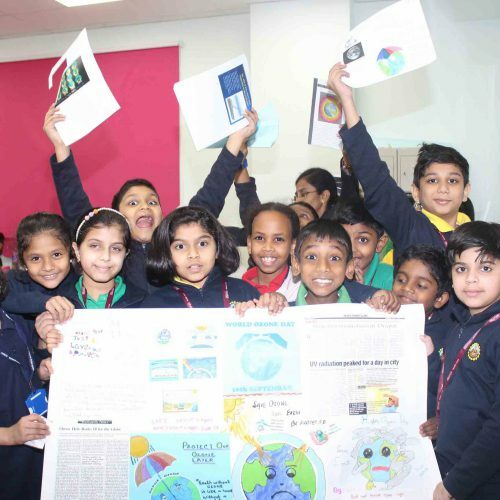 When it comes to giving thanks, our school stands tall in revealing the sense of gratitude to all sectors of people and events and this day, the day for teachers stood no exception in adorning the best that the students could do in the form of taking up charge as teachers, thrilling with their energetic conductance of games and offering creative cards to their teachers. The transmission of responsibilities from teachers to students on this day had set the path for pedagogues to feel the power, passion and perseverance behind the divinely job of imparting knowledge. 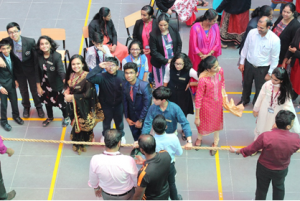 The students festooned the campus with a replica of being a teacher and went in the whole day to share and taste the job of their mentors. 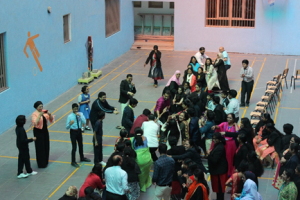 The time gradually set in to the call of rejuvenating our physical enthusiasm and cheering games like tug-of-war and musical chair conducted by the Students Council in the manner that perfectly enlivened us to relish the days long forgotten and the precious moments that are resurrected once in every year. The sower of seeds whose ultimate aim stays in growing fertile minds and serving to be the bridges for the educators to cross over them and cheerfully collapses in the process of seeing their children standing tall in the society were given a well-deserving treat from the striking students of our school. 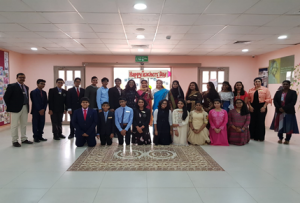 The upper graders had the photo session for taking their memory lane to home with Principal – Mr. Mahesh Iyer, Vice-Principal – Ms. Albin Daisy and Administrative Manager – Ms. Shaimaa Zaki. 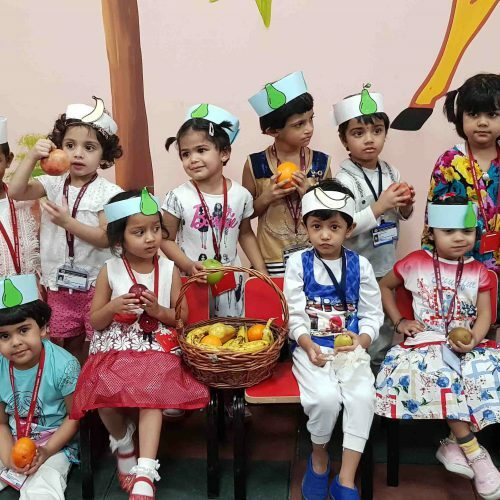 The teachers were served with the sumptuous lunch which preceded the miniature speech rendered by Principal to ponder over the lodestar of their lives and to continue impacting their own children with the unending influence. 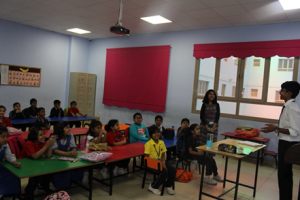 The aftermath of united meal was led to the area of games followed by the spry symposium with the complete involvement from teachers. 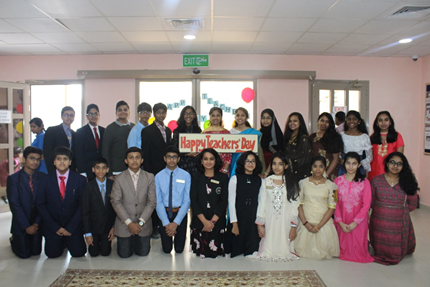 The day rightly ended with the thanks note to the dearest students and the school Principal for bestowing his tireless tenacity in all his initiatives.